A lot overdue, but back in November for the American Thanksgiving holiday, we decided to drive up the coast to San Francisco for the long weekend. Just under 6 hours from Los Angeles, we were totally pumped to get up to tour the Bay Area! And despite the freezing cold weather coming off the bay, we had such a fun time. Here's our little recap of our trip! Might I say, we were totally spoiled, getting to spend 2 nights at the Ritz Carlton residences. Yes, not totally student-budget friendly for a weekend trip, so thank you travel points! Right smack dab in the heart of the city, staying at the Ritz Carlton Club & Residences was the definition of luxury. We had an incredible 2 bedroom condo unit with a view of the city, Italian marble bathroom floors, a private lounge with complimentary wine tasting, and was only a hop step and jump from Union Square and all the shopping and fine dining the city had to offer. Yes, spoiled! Our two-bedroom condo unit. Future home, please! Obviously, a crucial sight to see for a first-timer to San Fran is the iconic Golden Gate Bridge! We looked up the best place to see the bridge (without causing a traffic accident from the car) and found Fort Point National Historic Site, which was totally free mind you, and has an epic view of the bridge from below. Riding the San Francisco trolleys are an experience in itself! Seeing the city while holding on to the sides of a cable car, while climbing and descending the hugest hills, is so. fun. Do it! Be sure to stop by Fisherman's Wharf and do the tourist thing. Check out the various seafood restaurants, browse the piers, and keep an eye out for the famous sea lions that come right up to the dock. The infamous windy street known as Lombard Street looks like it was pulled right off of Tumblr. Lined with beautifully colourful and unique tall houses with amazing vines and flowers winding down the houses. While it's pretty difficult to capture the windy-ness of the street, the houses themselves make a pretty snap. You always hear about the gargantuan California Redwood trees, and this is an incredible place to see it. While we didn't have our hiking gear with us, there's a beautiful peaceful trail throughout this magical forest that is non-hiker friendly. I can't tell you enough to make the short visit to the Muir Woods if you're in the Bay Area - the air itself smells the purest of pure and the size of the trees alone will blow your minds. Neature, check! 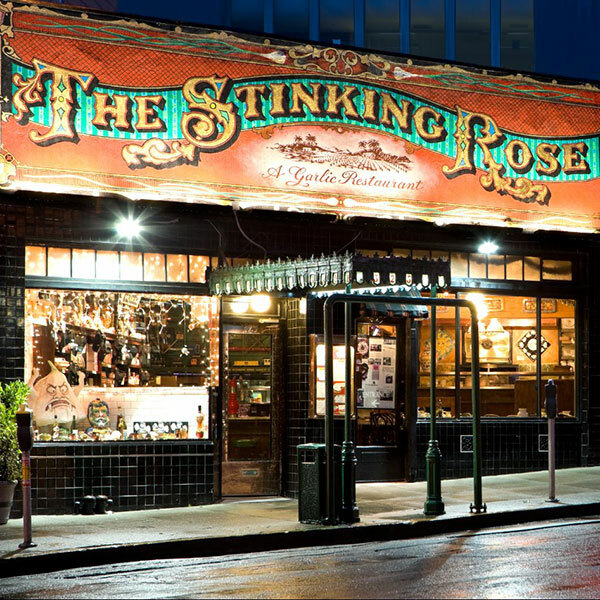 If you're a garlic fan (I mean, who isn't) but I mean, serious garlic fan, The Stinking Rose is the place for you. 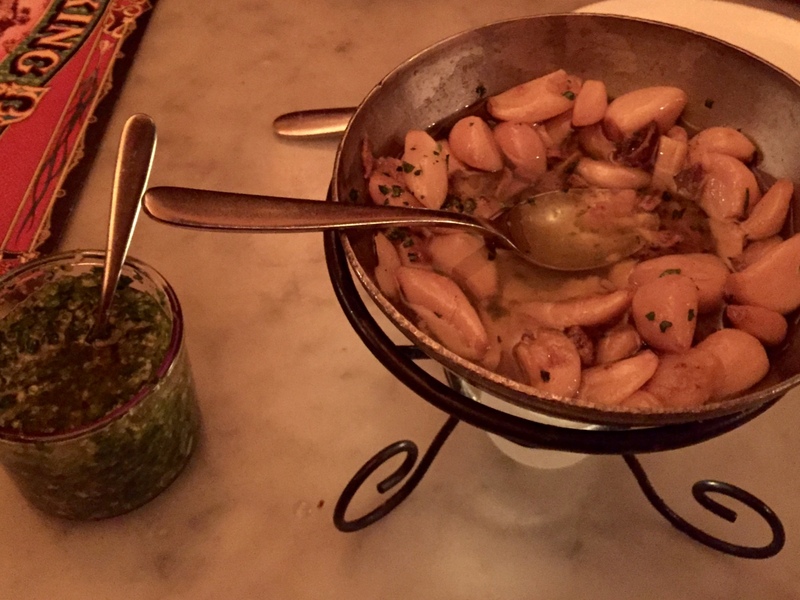 Every single menu item has some form of garlic, even the ice cream. And though you will be the worst smelling person in town for the night, at least all your friends who went will be too. 2 comments on "If You're Going to San Francisco"
Lucky girl! One of these days I'll make it to San Fran.! Looks like you had a wonderful time!